The Island of Islay (pronounced eye-la) is the Southernmost island in the Inner Hebrides and is known for its stunning natural beauty, long beaches and of course, it’s world-famous distilleries. 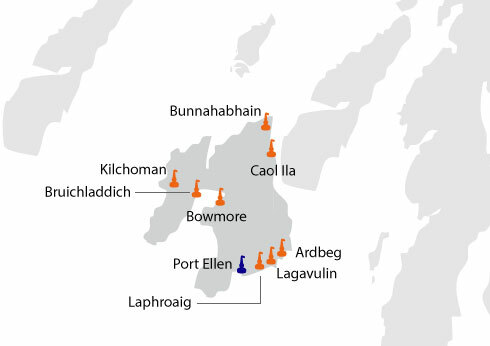 It is one of the best-known districts for Scotch whisky in Scotland with 8 active distilleries to date (that works out at about one distillery every 48.12 miles2 on the tiny island). Islay holds the annual Islay Whisky Festival, celebrating the whisky industry and everything that it has brought to Scotland over the last few hundred years.